Searching for EU law can be difficult and time-consuming, with knowledge of CELEX numbers being required to easily locate specific documents. 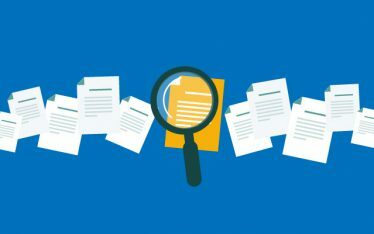 For any legal practitioner, it is important to be able to find and analyse important documents efficiently, and it is difficult to do this when looking for EU law. JustisOne enables you to find and access EU legal information in a new and innovative way, providing a range of benefits over other EU law sources. 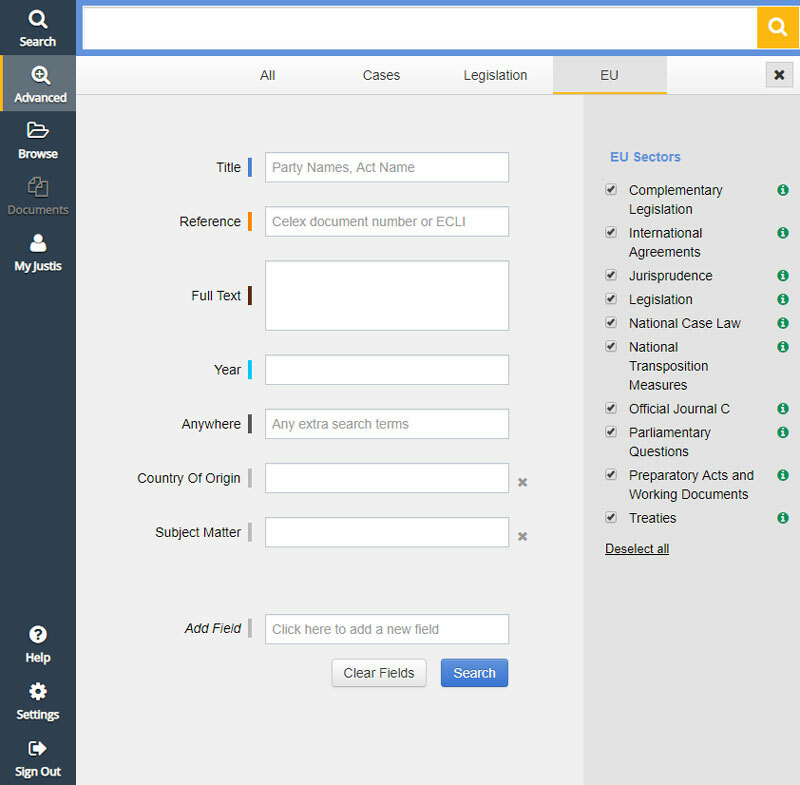 To enable you to find the EU law you need, JustisOne features a dedicated EU Advanced Search form, which can be tailored to your needs by selecting from over 40 searchable fields to build your own customised search form. This includes being able to search by Subject Matter or Keyword, which can be used to conduct searches on particular areas of EU law. JustisOne presents information over two panels, as shown below, helping you to quickly identify important details, related authorities, any amending items and much more, alongside the full text of the document itself. 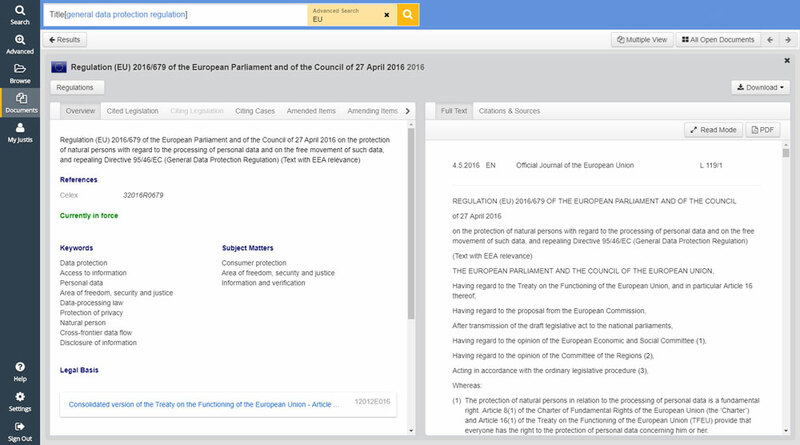 By extracting and organising important information contained within EU titles, headers and the body of text, JustisOne helps you to navigate each document with greater ease and efficiency. JustisOne also displays titles on related documents and authorities where other services only list their CELEX numbers. This resource contains complete EU coverage, including EU legislative provisions, International Agreements, the Official Journal C series, Treaties, Complementary Legislation, Preparatory Acts and Working Documents, Jurisprudence, National Transposition Measures, National Case Law, and Parliamentary Questions. 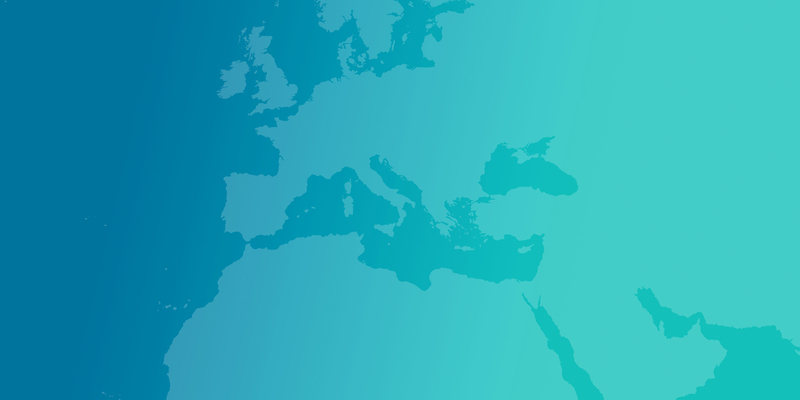 JustisOne EU is continually developing, with links between the opinions of the Advocate General and previous court stages, including related UK court judgments and related National Implementations, coming soon. JustisOne also enables you to view EU law side-by-side with the most comprehensive collection of common law cases available online, including national implementations of EU law. For a personalised free trial of JustisOne simply fill out this form. 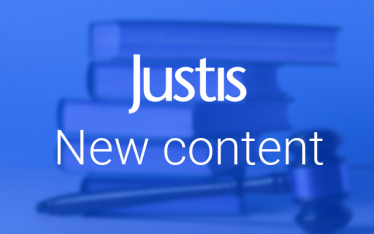 Justis was the first commercial database provider to partner with the European Commission in 1986, creating the first ever online resource for EU law. Justis has a long history of providing EU legal information and working to make it more accessible to practitioners, academics and students.